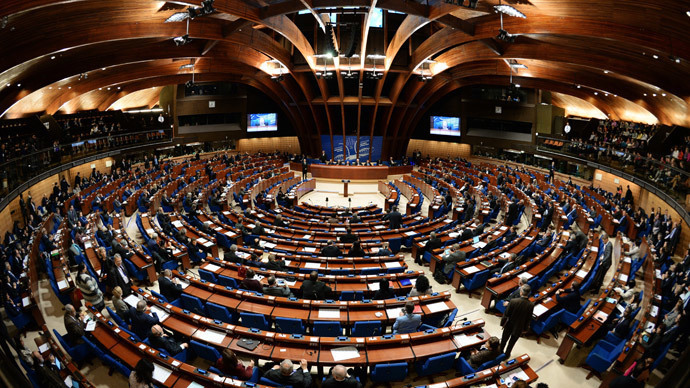 After leaving the Parliamentary Assembly, which Russian officials believe has lost its credibility as a platform for mature and equal dialogue, Moscow will focus on other global forums and may even reconsider its membership to the Council of Europe. 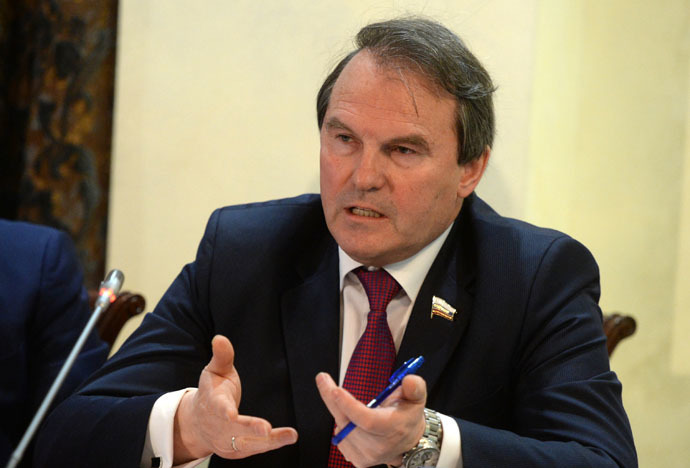 “It is impossible for us to stay in an organization which discriminates the Russian delegation,”the chief of Russia’s PACE delegation and chairman of the State Duma's Foreign AffairsAleksey Pushkovtold RT. For the time being, Pushkov said that President Putin is not contemplating the possibility of quitting the entire Council of Europe. However, he stressed that the situation is playing out a bit differently in the Russian parliament. 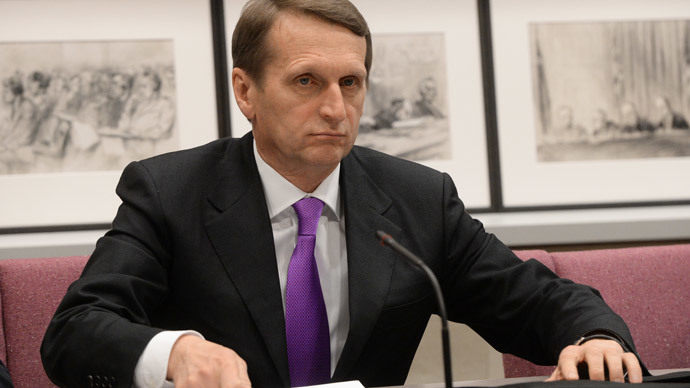 Pushkov was referring to the announcement by Duma speaker Sergey Naryshkin, which said that Russia may eventually cease its membership to the Council of Europe, unless its Parliamentary Assembly reverses its attitude towards Russia. 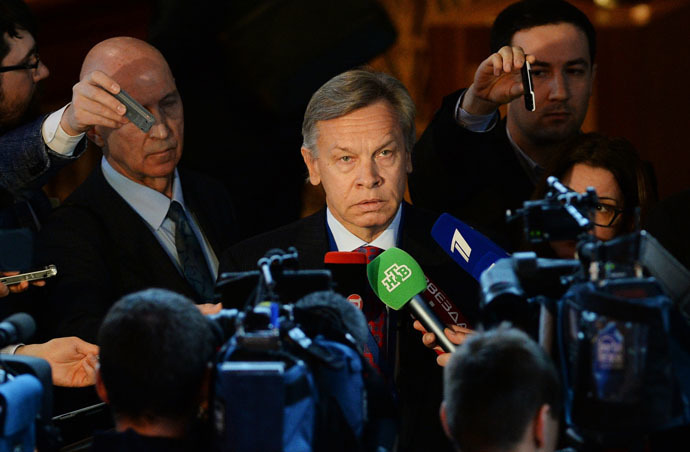 “I think PACE is the real loser here,” Pushkov said. After Russia has stopped all communications with PACE, the Organization for Security and Co-operation in Europe (OSCE) has the opportunity to replace the assembly as the main forum of discussion on European issues, the politician told RT. 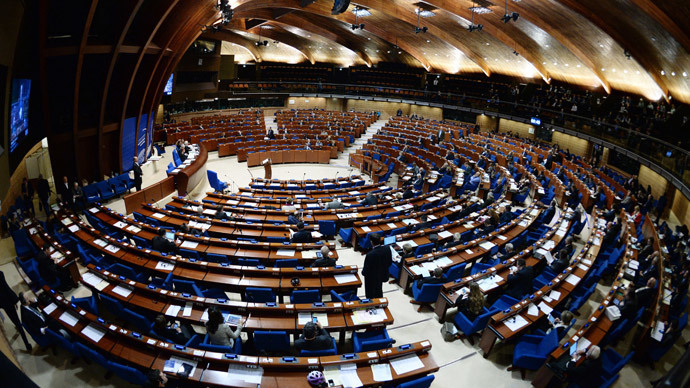 Moreover, Pushkov believes that over the last year, PACE has lost its credibility by repeatedly violating its own core principle of protecting democracy, human rights, and the rule of law. It is now serving as an “ideological tool of Western policy” which has failed to condemn numerous violations of human rights, along with the atrocities in Ukraine. The limitation of the Russian delegation’s powers is indeed a “discriminatory act” apparently encouraged by “pro-American forces,” agrees Russian Senator and a member of the Committee on International Affairs, Igor Morozov. “And it is of great regret, since PACE is ceasing to serve as a parliamentary debate platform, where we can discuss key issues of our time, where the delegates have an opportunity to explain to each other their national position,” Morozov told RT, adding that all parliamentary activity will be transferred to the OSCE Parliamentary Assembly forum and the Parliamentary Assembly of the Mediterranean. Russia’s permanent representative to the European Union, Vladimir Chizhov, also says that PACE’s decision to strip the Russian delegation of its voting power has deprived the assembly of the opportunity to hear Russia's point of view. “The damage from this is not to the Russian delegation, nor the Russian parliament. 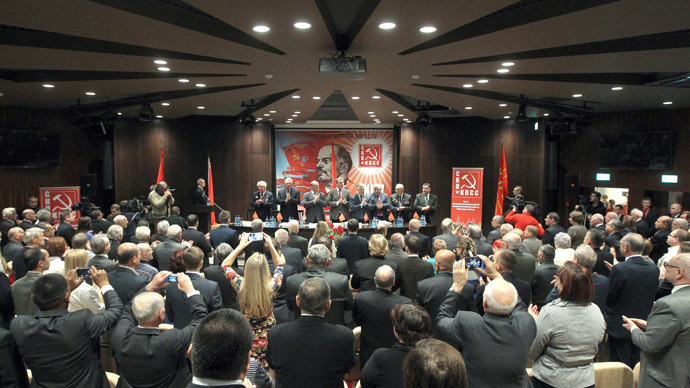 The damage from this is caused mostly to the Parliamentary Assembly, which will be deprived to the end of this year the possibility to hear the Russian point of view and lead a joint search for solutions to the problems that are on the agenda,” Chizhov told Sputnik. Meanwhile, PACE president Anne Brasseur told RT that she “regrets” Russia’s decision to cut its communication with the assembly for the rest of the year. “I think the decision of the Russian delegation to leave immediately was not the right decision,” Brasseur told RT, explaining that the suspension of one’s voting rights does not mean the delegation can’t take part in committees and discussions. Still hoping for the continuation of dialogue with Russia, the PACE president told journalists on Thursday that if progress on Ukraine reconciliation is achieved, the organization may cancel its restrictions on Russia after “re-evaluation” in April.